My world may not be “normal” but it sure is interesting! I’m a funny, laid-back Butch lesbian living in southern Maine. I am an avid reader, writer and a very serious thinker. My ADD causes me to jump from topic to topic on occasion, so bear with me! I am a US Army Veteran, raised in the 1960′ & 70’s in a small town in southern Maine…and sometimes in upstate New York! Fighting to find my place in this world I wandered with the aid of the US Army, crazy illicit drug and alcohol use and some good motor cycles. It’s a miracle I survived – although I didn’t get out clean. Today I live with HIV as a result of my club kid days. Today I live life managing my medications, staying healthy and watching the world continually change before my very eyes at an incredibly increased pace! 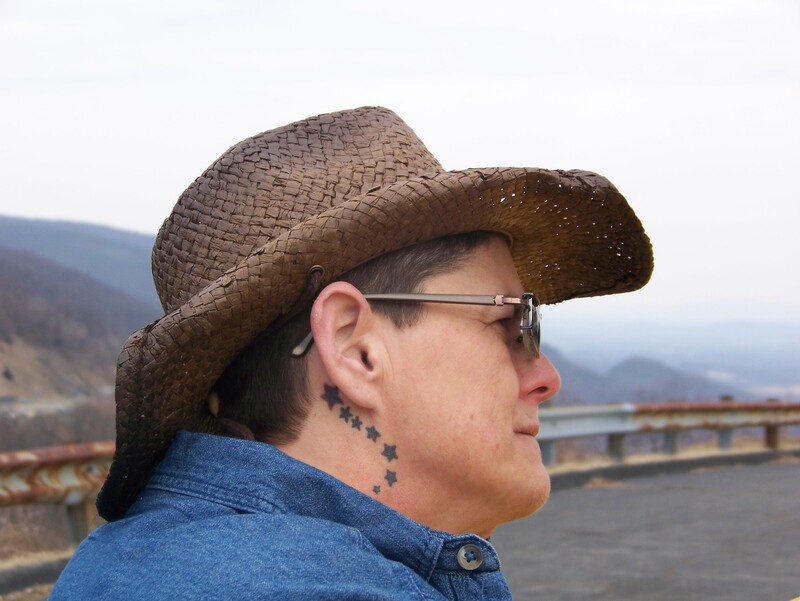 I enjoy social media, blogging, and vlogging on current issues in tihe LGBT community, gender, equality, labels, politics and daily frustrations of being Butch and living with HIV. Thank you for the “follow.” I look forward to reading more of your posts as well. Cheers! Anytime! I like your writing! I knew you briefly a few years ago, and tripped across your blog when I was setting mine. I can say what a breath of fresh air from all the other “labelers” in the world to find your blog. Cool. And what is the name of your blog?